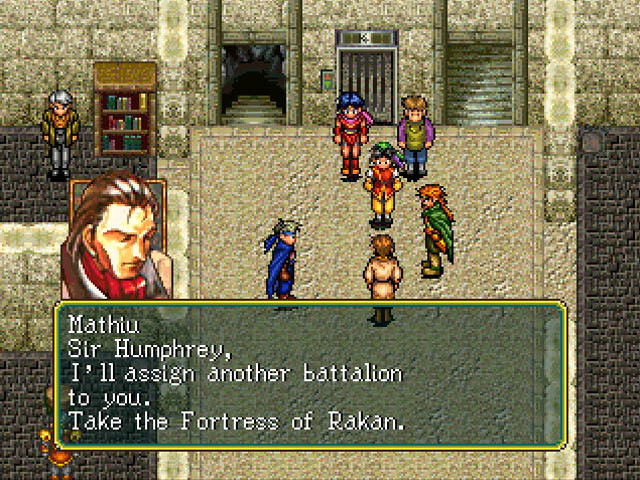 In Suikoden, you control a young man who is the son of a Scarlet Moon Empire general. You are destined to seek out 108 companions (known as the "Stars of Destiny) in order to rebel and bring peace to the land. Can you find all 108 characters, or will you try to conquer the corrupt empire with fewer than that? 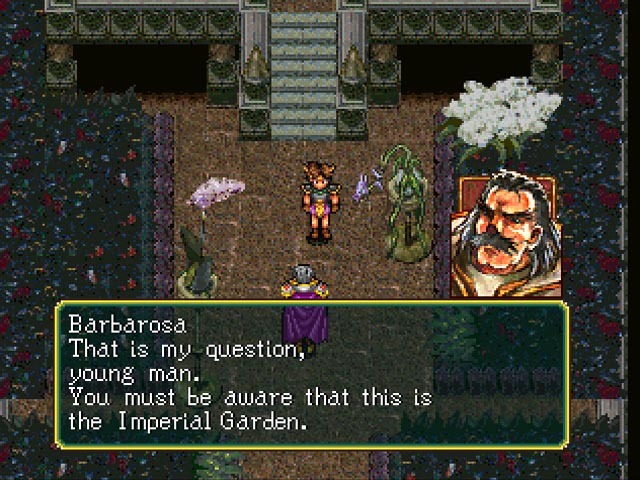 In this game, you are controlling the son of Scarlet Moon Empire, the kingdom that currently stated on Toran Republic. Your hero (default name: Tir McDohl) will encounter a cycle of unending challenge, and will learn the truth behind the war of Scarlet Moon Empire. At your journey, you will found out about the True Rune, drama of saviour and betrayal, recruiting companion, and more secret to be unfold. This game contains a different ending movie at the last of the gameplay. This game allow you to collect warrior around the world, of course, recruiting all of them isn't that simple. Some can be obtained by storyline, some of them is secretly planned by konami. If you manage to collect all the warriors (108 Star of Destiny), you will get a perfect ending and commonly in suikoden games, perfect ending ended the game with joy and happiness. 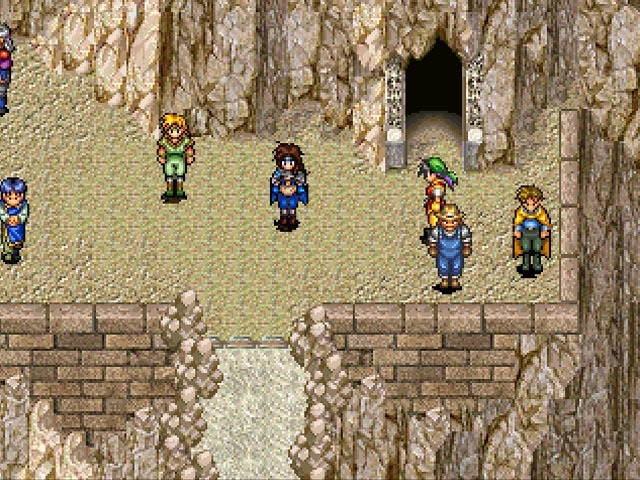 The rest of the story of course is up to you, will you jump into the world of suikoden? 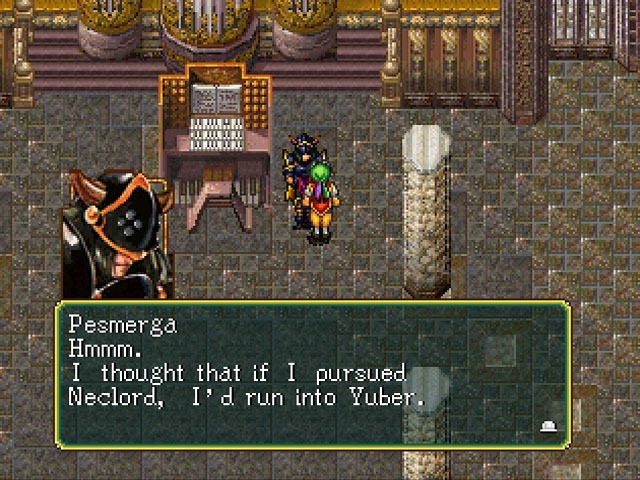 Suikoden is a JRPG for the PSX where you play as (Hero) , the son of Teo McDohl, who is one of the renowned generals of the Scarlet Moon Empire. Hero is assigned a mission by his commanding officer and during the mission, they run into what seems to be an insurmountable enemy. Out of nowhere, Hero's best friend Ted uses a very powerful magic and blows the monster away. Promising to explain later, Hero, Ted, and the rest of his crew complete the mission and return home. Ted is asked to go to the castle while Hero and the rest return home. Later on, Ted returns home severely injured and after being put to bed, Ted tells Hero about the Soul Eater rune (one of the 27 True Runes) and asks Hero to take the Soul Eater and protect it from an evil witch named Windy. Soldiers show up at Hero's house and Ted goes willingly to give Hero and the rest time to escape. After the loss of Ted and witnessing the crimes of the Empire against its people first hand, Hero meets a guy named Viktor and joins up with Odessa Silverburg (the original leader of the Liberation Army) to fight the Empire and eventually becomes the Leader of the Liberation Army. With the power of the Soul Eater Rune and up to 108 characters to enlist to your cause, can you defeat Wendy and the Scarlet Moon Empire? 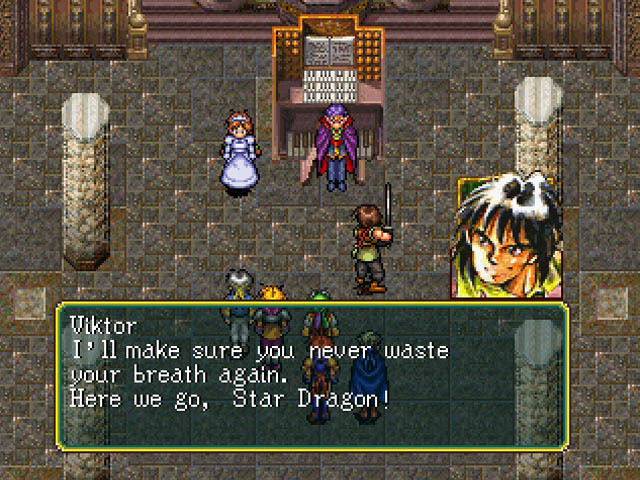 Suikoden does not stand out in any category that RPG games are judged by, but that does not mean this game is not a good one. The story line is pretty solid and back when this game was made, 108 playable characters to recruit was unheard of. The graphics and sound are average for game from the early PSX era and leave a little to be desired . 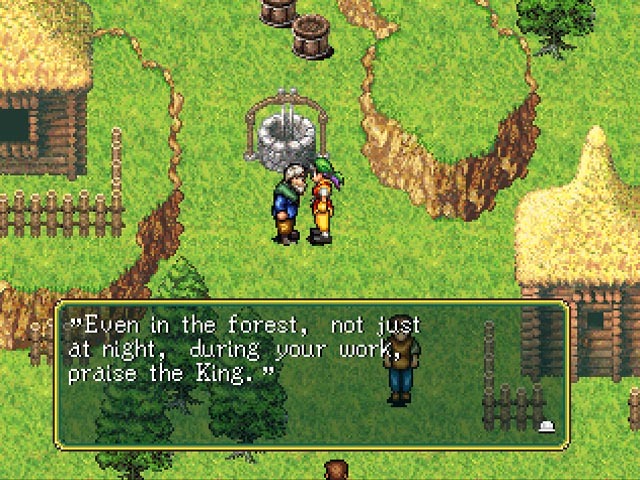 All in all though, Suikoden is a good RPG and the prequel of one of the greatest JRPGs ever made (Suikoden II). It is absolutely worth playing. Now you can add videos, screenshots, or other images (cover scans, disc scans, etc.) 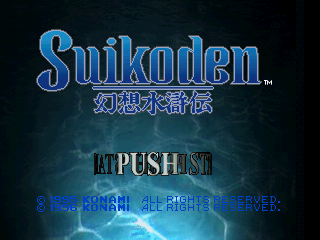 for Suikoden [NTSC-U] to Emuparadise. Do it now!